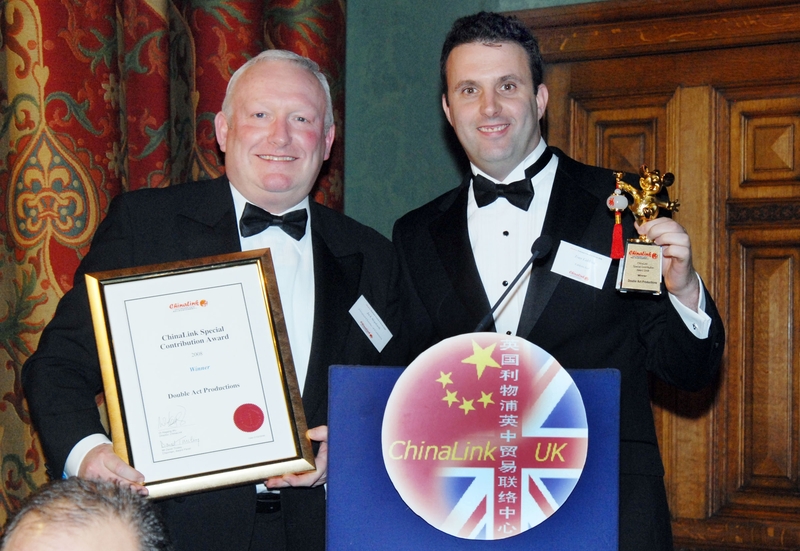 In that year, the Business of the Year award went to Bank of China (UK) Ltd., presented at the event by Clive Drinkwater, UK Trade & Investment Northwest Director. The Business of the Year was awarded to a UK based company that has developed successful trading, investment, or other business co-operation between the UK and China in the previous year. The year of 2007 saw the Bank re-launch its restructured services and become more proactive in the trade finance market supporting UK companies to trade with China. It led a consortium of 11 large international banks to successfully win the contract of British Airways aircraft deliveries over a five year period, valued at $1.7 billion. It was hailed by Janes Transport as “The Aircraft Financing Dear of the Year”. British Airways had in that year flights between the UK and Beijing, Shanghai and Hong Kong. Arguably the oldest Chinese investor in the UK for its 79 years of history, Bank of China (UK) Ltd, who was unrivaled in its achievements in servicing the British Chinese business communities through out the UK . The Bank in 2007 introduced their special banking services to Chinese students studying in the UK, proving to be a very popular service. 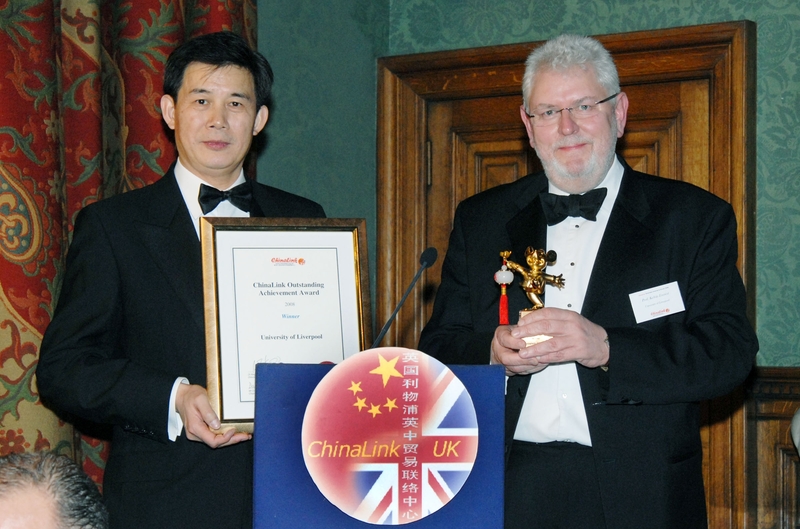 The University of Liverpool scooped the ChinaLink Outstanding Achievement Award, presented by the Chinese Consul General, Mr. Jianzhong Gong. The Outstanding Achievement Award is awarded to an individual or organisation with inspirational achievement, which has made a remarkable contribution to the development of business, civic, cultural and other international projects between the UK and China. Over a period of four and a half years, the University worked closely with Chinese educational authorities, the Jiangsu Provincial Government, the Suzhou City and the Xi’an Jiaotong University, leading to the establishment of the Xi’an Jiaotong Liverpool University in Suzhou, a city that is one hour away from Shanghai. The University of Liverpool became the first British university to establish a joint-venture independent University in China and it was in the first tier of the Chinese high education admission system. The student number grew from 160 in 2006 to 730 in 2007 and it was on course to double a year later. 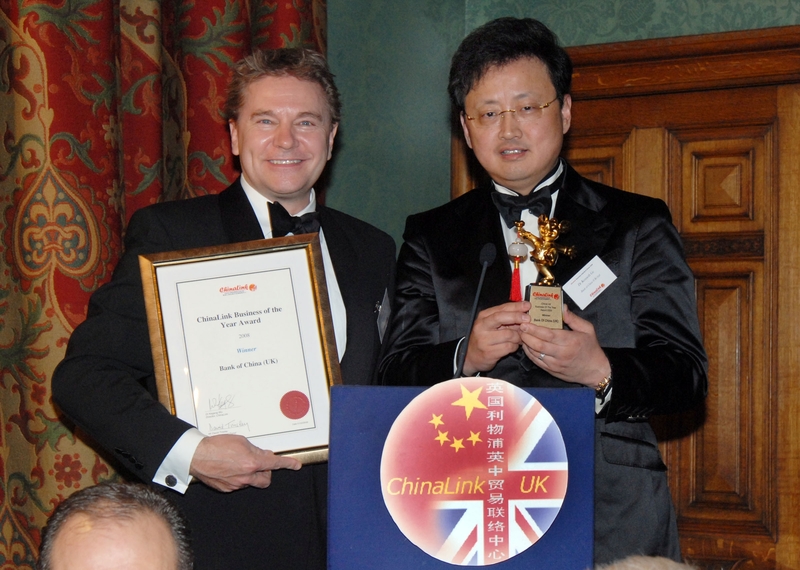 ChinaLink Special Contribution Award was given to an individual, project or organisation that has taken initiative to do pioneering work in uncharted areas of co-operation between the UK & China. The winner was Double Act Productions who produced in 2007 the first fly-on-the-wall documentary for doing business in China “Brits Get Rich in China”. The company followed three British businessmen for 12 months in China and produced a light hearted file that was much talked about in the press and audience”.